Put the tent away in the morning. Bee Hive Trail / Almost Rock Climbing. Wicked Awesome. We drove to the top of Cadillac so we could see more in less time. Cadillac Mountain is the highest point on the east coast between Canada and Brazil! A cruise ship brought tourists to Acadia from NYC. 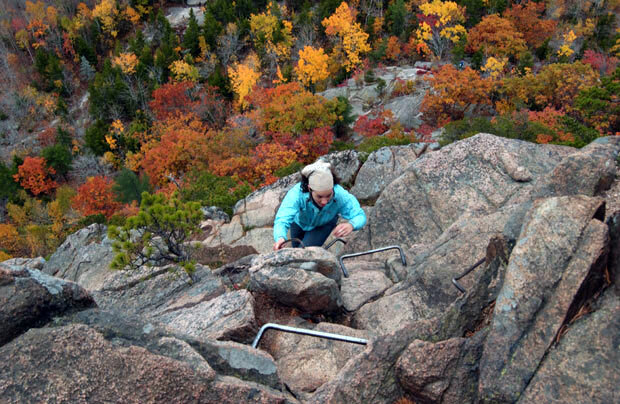 Acadia is the second most visited National Park in the U.S.